Soak up the best of the Vegas nightlife. 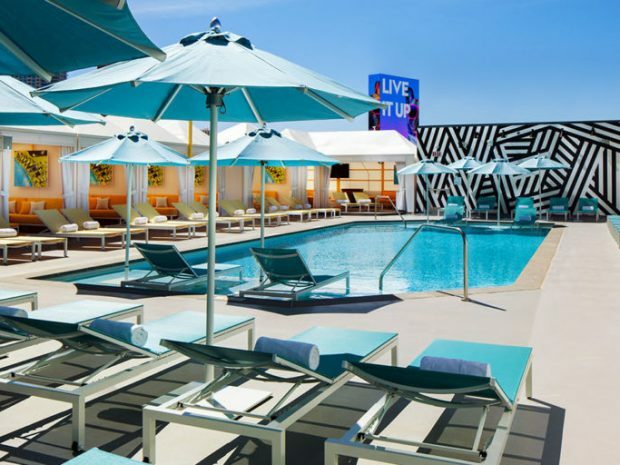 The collection of premiere lifestyle venues at SLS Las Vegas includes world-famous nightlife brands and some of the city’s most sought-after hotspots. From raucous and energy-fueled parties to high-end and refined lounge experiences, intimate live performances and sweeping poolside day clubs, the range of day and nighttime entertainment at SLS is unparalleled. Spend the night immersing yourself in the scene, grab your favorite drink, hit up a Vegas pool party or head to the club for a night of dancing. Situated at the heart of SLS Las Vegas, Foxtail Pool is a can’t-miss destination for locals and hotel guests. Serving as an amenity to hotel guests, the pool can also transform into a party atmosphere with offerings for dayclub clientele and an intriguing extension of the nightclub. Handcrafted specialty cocktails are served up day and night at the pool bar, and the evening atmosphere includes 3D projections with visually arresting content. 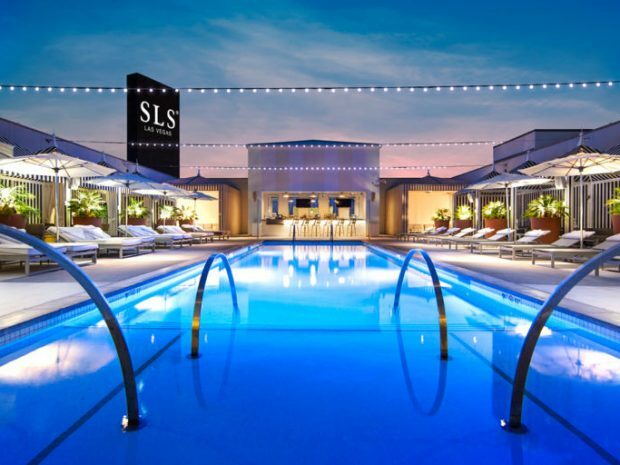 Get your poolside experience with SLS Las Vegas’ rooftop pool. Enjoy the scenic view of Las Vegas with a panoramic sight of the beautiful Las Vegas mountains and Downtown Las Vegas. Hollywood’s beloved live music venue brings its rogue spirit and sophistication to SLS Las Vegas. The refined, yet raw space showcases amazing and intimate live performances by emerging and acclaimed artists, representing the true Sayers Club experience – one that is built on sound and space. A relaxing poolside scene, this open air rooftop pool offers a seductive environment of glamour and comfort. Listen to soothing ambient beats while enjoying signature cocktails and light fare. 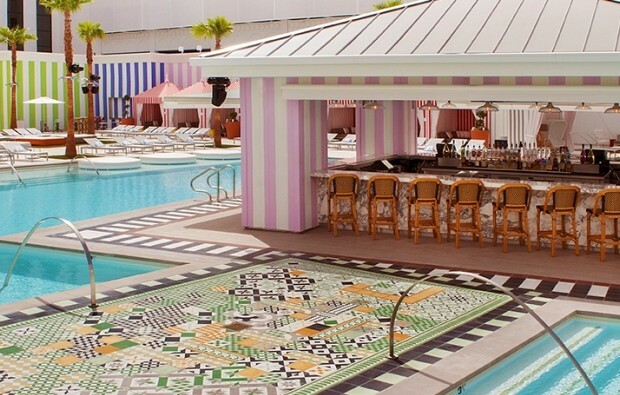 Retro Pool is the ultimate daytime retreat for those looking to relax and soak up the sun. Closed. Tentative to re-open May 2. Our signature lobby bar is the ideal spot to transition from on-the-go to in-the-glow with a unique selection of cleverly crafted cocktails and beer. Monkey Bar doubles as the perfect chill spot with endless people watching capabilities. Located adjacent to registration, stop by to cause some mischief. Named for its location in the middle of the casino floor action, Center Bar is open 24 hours a day and features handcrafted specialty cocktails and enticing shots. A stunning LED fixture hangs overhead, highlighting the bar's prime location with intriguingly curated content. Make a toast to a great weekend or polish off your evening with a nightcap here.